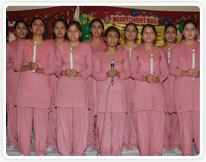 An auspicious day, the blossoming buds, i.e the student nurses will take their oath & capped to take feet in noble profession to rend tender loving care. Hence education commence unity among religions, the birthday of Lord Jesus Christ also been celebrated to provide spiritual support & relaxation from tedious academic schedule. With curricular performances physical talent & intelligent skills are expressed in tournaments such as chess, carom etc. to encourage the candidates. 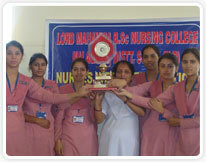 "A Lady with Lamp", & "pioneer of nursing", Miss. Florence Nightingale's birthday has been celebrated with nurse week follows as Nurses day on May 12th as a token of respect for profession. 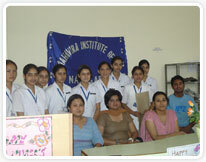 To fulfil the academic year appraisals annual day has been celebrated at the end of the academic year. On the day students will express skills & talent in various activities, at last winners are awarded in three grades.